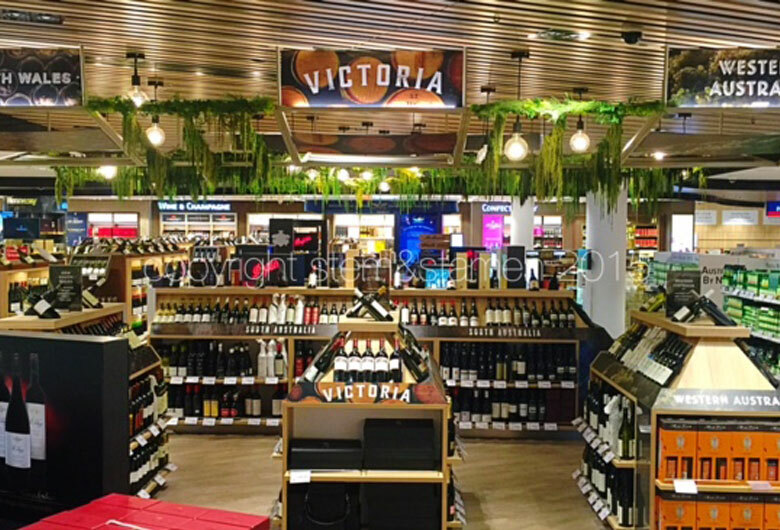 Our client Geyer approached us to develop a design that would represent the cascading and trailing impression of the landscape typical of the Wine Regions of the Barossa, Yarra Valley and Margaret River. Following a field trip to the area and paying attention to the details of the plant formations, we designed an overhanging cascading installation to create a canopy over the wines below. 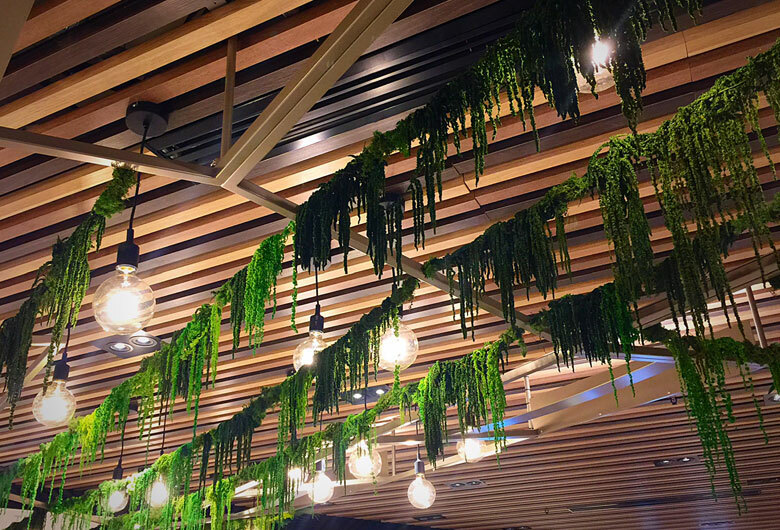 Over 120 bunches of ferns and 30 man-hours later, our cascading canopy over the wine regions was complete.